Spring is a time for perfect temperatures and beautiful weather…when it’s not raining, of course. In our business, it’s called the “shoulder season,” when neither air conditioners or heaters are getting a major workout. 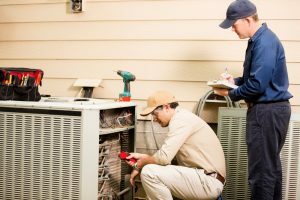 We don’t expect too many air conditioning or heating repair calls at this time, but we do hope to receive one service call in particular—for the good of your air conditioner. Spring is coming up, which means it’s the perfect time for a tune-up. Air conditioning tune-ups from professional technicians truly do benefit you, your budget, your stress levels, and the air conditioner. We give some examples in the guide below, but reach out to our team to learn more and sign up for our maintenance plan! As air conditioning contractors, we spend most of our time helping people lower the temperatures in their home. But as comfort specialists, we know that temperature is not the only factor in home comfort. 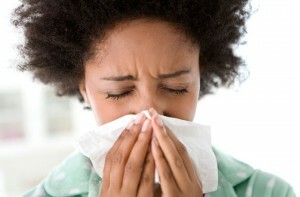 Indoor air quality is just as important to your comfort and to your health. Unfortunately, most indoor air quality solutions (like plug-in portable air purifiers) don’t truly resolve problems with germs or particulate in the air. For that, you need a whole-house solution, and we’ve got some suggestions for you.